I am the owner for 25 years of this 2002 ti, year 1971, color Agave 071, with dog leg. Restoration lasted 3 years (2002-2005. Awesome ti! Looks identical to my dad's '71 agave ti. Enjoy it! Very nice! Agave is such a great color. Do you have a restoration blog? 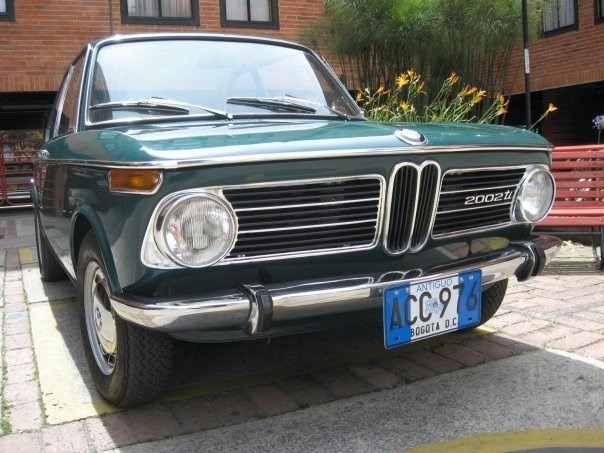 Please share more pictures, it is a rare and beautiful car and this is a small corner of the BMW 2002 FAQ universe. Looks great! 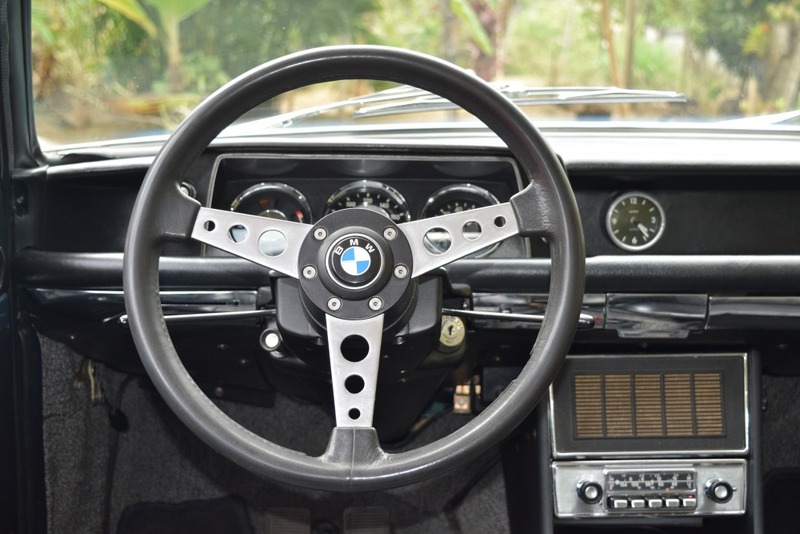 How did you refinish your instrument cluster bezel rings? I restored a few clusters with electroplated plastic that I didn't end up installing (went with the silver stock finish) but damn this looks sharp and matches nicely with the lower dash chrome. I'm guessing it would be a ton of work trying to chrome the bezel on the Kienzle clock - but that would look amazing. It was what I did.. 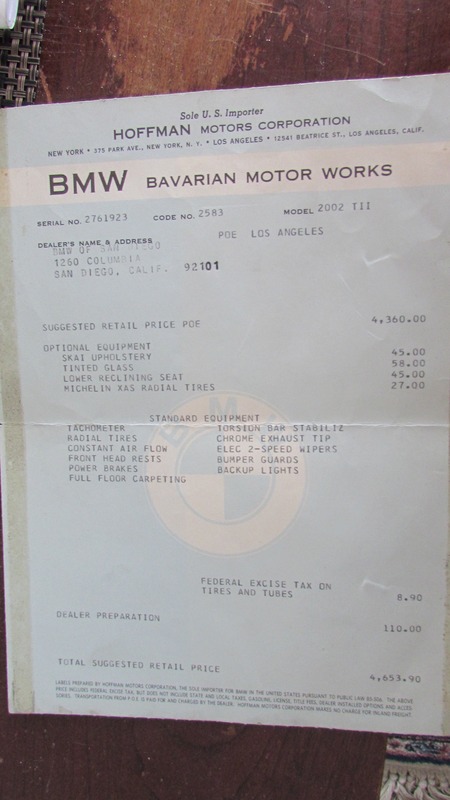 The 165HR13 XAS was far and away the most common tire on U.S.-imported ‘02’s, as a “mandatory option” during the round taillight era (1966-73), and as standard equipment during the square taillight era (1974-76). Below, window stickers from 1972 and 1974 tii’s illustrating the optional versus the standard-equipment treatment. The XWX family of tires is different from the XAS series. 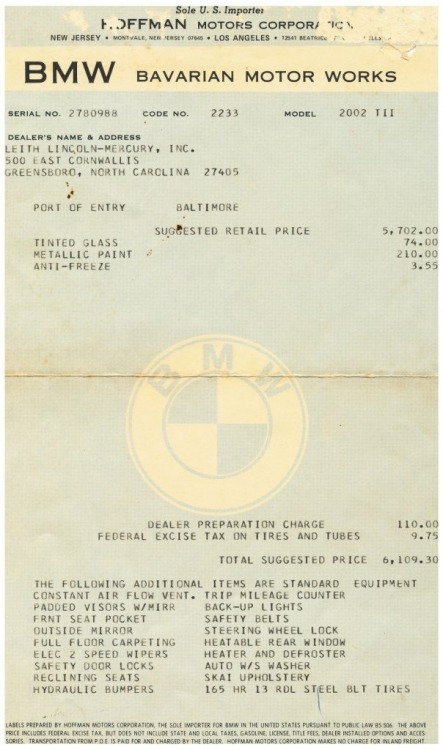 The XWX family was originally far more expensive than the XAS series and was targeted largely at the era’s “super cars” such as Ferrari’s, Maserati’s, etc. 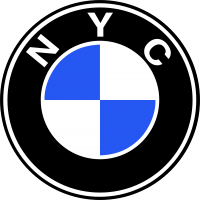 Within the XWX family, however, the XDX model was available in a 185/70VR13 size which, as you know, was the factory-correct size for the turbo (and a common aftermarket upgrade size for other ‘02 sub-models). Both the 165HR13 XAS and 185/70VR13 XDX remain available today through Michelin’s Classic Division (Coker Tire is the U.S. distributor, Longstone Tyre is the U.K. distributor). Sorry for the thread divergence! 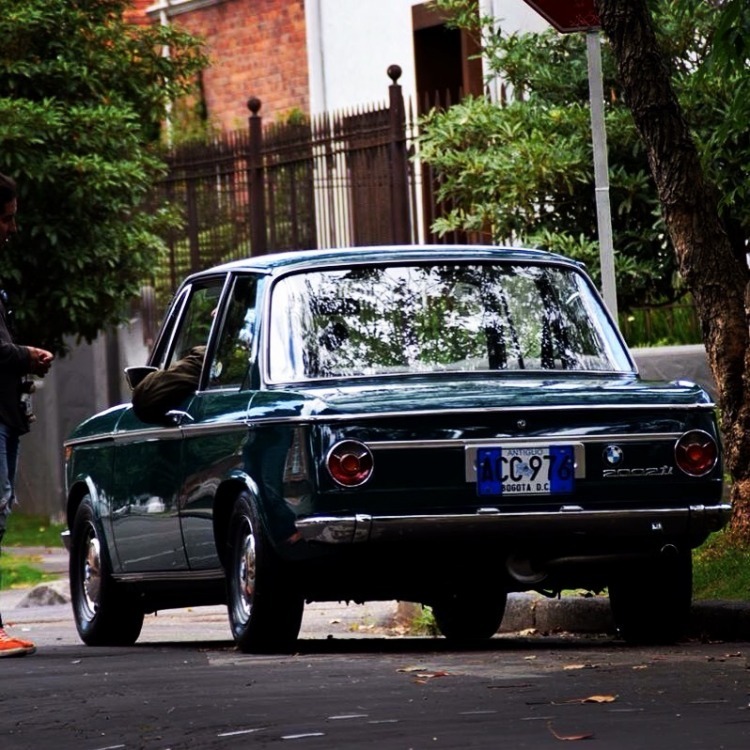 By the way, your car is absolutely gorgeous!